"So professional and sympathetic to my questions and concerns." "Excellent service, very professional staff and also very friendly." "Amazing service, so much attention to detail and very thorough examination." "Organized, well equipped, professional and friendly staff." "Very friendly and helpful, completely recommend!" "I was impressed by the office and will definitely return." "Always friendly and fun to talk to. Professional and personable." Dr. Azar Boujaran is a cosmetic dentist at a Tribeca Dental Club, a top-ranked dental practice providing skilled, compassionate care for patients in the TriBeCa area of New York, NY. Conveniently located on Chambers Street, Tribeca Dental Club is a leading and trusted provider of family dentistry, restorative dentistry and pediatric dentistry treatments, including routine checkups, veneers, dental implants, periodontal disease treatment and the popular Invisalign orthodontic treatment system. Plus, Tribeca Dental Club offers conscious sedation (also known as “sleep dentistry”) to help patients remain comfortable and relaxed during more complex procedures. Dr. Boujaran has five years of training and fifteen years of experience in cosmetic dentistry. You can see some of her work in the Photo Gallery. She is focused on the needs of the individual patient and strives to provide a comfortable setting where patients can feel relaxed and confident about their treatment. The practice uses the most modern equipment for better diagnosis and care, including digital x-ray technology and intraoral cameras. Soothing music, DVD players, and a compassionate approach provide a calming experience for even the most anxious patients.  Tribeca Dental Club welcomes new patients from Tribeca and throughout New York City, and the practice accepts most major dental insurance plans. We are now distributors of all Keshe products, European certified. 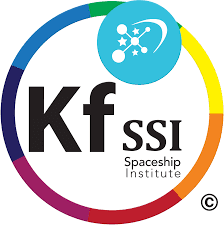 Visit the Keshe Foundation website to learn more. The Odyssey® Diode Lasers represent the latest diode laser technology available for soft tissue modification and preventive care. 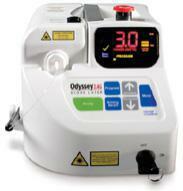 The Odyssey Diode Lasers cut and coagulate at the same time, thereby facilitating immediate hemostasis, less tissue charring, less postoperative healing time and fewer post-operative complications including less chance of infection. The laser performs minor surgical procedures and in addition, reduces bacteria from the area at the same time. Many soft tissue procedures around the gingiva can be completed without anesthesia for greater patient acceptance and comfort. 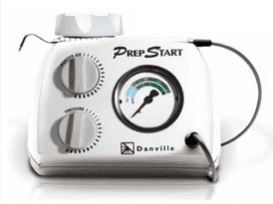 PrepStart can cut preps as small as half the width of your smallest bur, even incipient lesions can now be conservatively treated in seconds and treat decay at its earliest stages. Virtually eliminating the time and discomfort of the dental injection. PrepStart procedures take only a matter of minutes or seconds, chair turnover increases and patient anxiety is greatly reduced. At Tribeca Dental Club, we accept most major insurance plans. Here is a short-list of just some of the most popular plans we accept. Please contact our office if you do not see your insurance provider listed. "Made me feel personally cared for which was very nice for someone who is more than a bit dentist-phobic." "They understand that I am afraid of the Dentist from past experiences and provide a high level of care as well as communication with me..."
"I believe I have found the most informed, gentle, and all-around best dentist on the planet. FINALLY a dentist who listens to my concerns and cares about my feelings." "I arrived late for the appointment, was still accommodated, and was treated with excellent care. I've already scheduled a follow-up consultation and my next cleaning..."
"I had such a great appointment at this dental office, Doctor B is very sweet and takes her time to explain everything." "I've been using Tribeca Dental Club for a number of years and I've always found the staff to be very professional." "...The use of the latest tech is a real plus. Even the mechanism she uses to inject the novocaine makes the process pain free!" "A relaxing environment, very warm and organized staff. Very competent & knowledgeable with a realistic approach to future dental work. Great Experience!!"